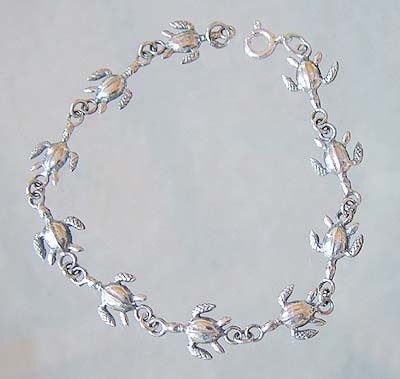 This beautiful Sterling Silver Sea Turtle Bracelet is made of the finest quality sterling silver. The detail and craftsmanship is unparalleled. You are sure to find this exclusive piece as your treasure trove of unique gift for the sea turtle lover. Sterling silver, 7 inches Long.